FolioSetup is a WordPress setup service that provides hosting and themes designed specifically for creatives by creatives. Tired of dealing with all of the annoying technical stuff that goes into setting up a website? With FolioSetup you’ll have a web team that will ensure that your portfolio site stays up and running so that you can get back to making the things you enjoy. We’ve partnered with esteemed writing coach, Carol Tice, of makealivingwriting.com to create this theme. It is specially designed for writers in need of displaying their writing samples and clips online in an attractive writer portfolio site. There aren’t many great options out there for writer sites, so we decided to do something about it. We’ll work with you to purchase your new site’s domain name if you don’t already have one, then we’ll connect your domain name to our FolioSetup hosting and install the portfolio theme. Once your site is ready for prime time, we’ll hold your hand and help you push the Launch button! After your website has been set up, you will have full control over the content of your site with our easy drag and drop page builder. Just add your logo, update the colors to your favorite palette, add images and buttons. Our portfolio template is highly customizable, so you also will have the ability to insert columns, add slideshows, contact forms and more. 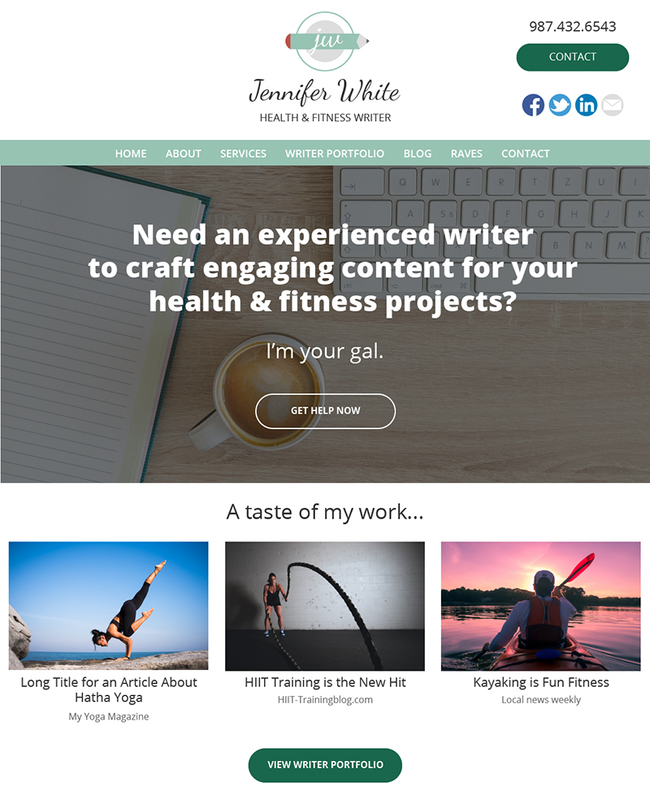 Currently, we have one writer website theme to offer; however, our designers are working on the next round of writer website themes for release to the wild. Later, we also plan to include specially designed themes for fine artists, photographers, architects and other creative types. FolioSetup is not your average theme and hosting service. We aim to provide the best customer support to help you get through all of the scary stuff, while catering to the specialized niche that you’re in. We want to see our fellow creatives succeed on the web as painlessly as possible. With that, we charge a one-time setup fee to get things all hooked up; then a monthly hosting and maintenance fee to keep things running smoothly. Want us to do it all? Don’t want to deal with adding your content or images? We understand and can help with that. FolioSetup offers full service web content management, too. This means: you give us your content and images, then we’ll add it to the site for you. To kick things off, we’ll connect with you in an online conference call. Then we’ll git er done. After you purchase the basic package, please contact us if you’d like to get an Add-On Package. After your site’s content has been added, you’ll be able to continue where we leave off. We recommend keeping your content fresh by continuing to add more portfolio projects, blog posts or other new site content. If you never ever want to deal with adding content at all, we recommend the hourly option. FolioSetup has you covered. Our team also includes top-notch graphic designers who squeal with delight at the thought of slinging pixels and arranging stylish typography. Send us a note to help us understand the message you’d like to convey with your brand, and we’ll reply back with an estimate. 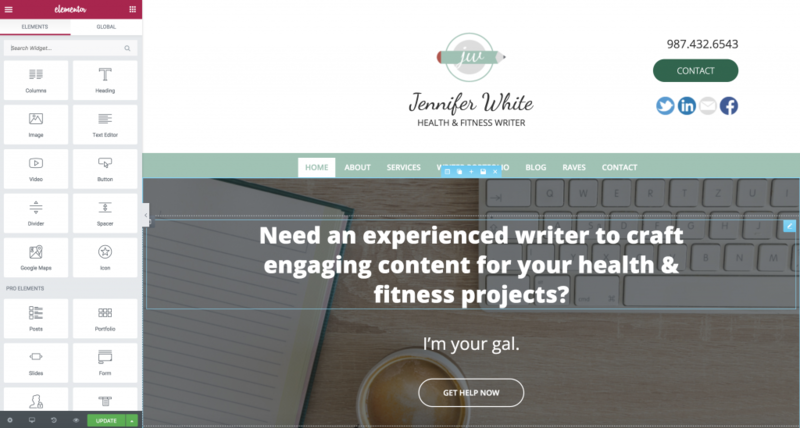 It’s time to build your writer site. Get started with the basic FolioSetup package today. * If you choose to install additional plugins beyond the pre-loaded plugins that come with your FolioSetup portfolio website, you are responsible for updating them. Be sure to review plugins before you install them to ensure that they are trusted, or they may pose a risk to your site’s security.